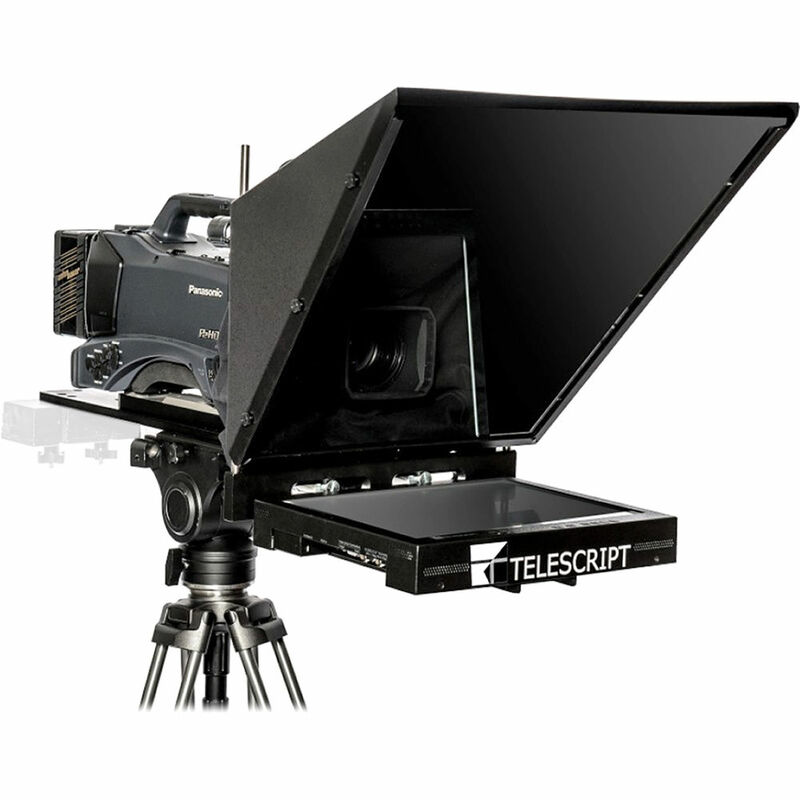 The FPS190s-SDI In-Studio On-Camera Flat Panel Prompting System from Telescript can be used with any ENG camera. 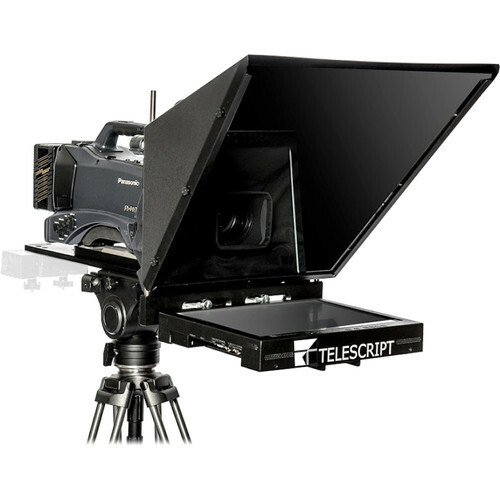 FPS190s-SDI reflects text from the display screen onto a beamsplitter mirror positioned in front of the lens. With help of isopropyl alcohol and a soft cloth (not included), you can easily clean the beamsplitter glass. Box Dimensions (LxWxH) 58.0 x 21.0 x 18.0"